Dimensions 0 by 5.19 by 8 in. The story of Frank Sinatraâs second act, Sinatra finds the Chairman on top of the world, riding high after an Oscar victoryâand firmly reestablished as the top recording artist of his day. Following Sinatra from the mid-1950s to his death in 1998, Kaplan uncovers the man behind the myth, revealing by turns the peerless singer, the (sometimes) powerful actor, the business mogul, the tireless lover, andâof courseâthe close associate of the powerful and infamous. It was in these decades that the enduring legacy of Frank Sinatra was forged, and Kaplan vividly captures âOlâ Blue Eyesâ in his later years. The sequel to the New York Times best-selling Frank, here is the concluding volume of the definitive biography of "The Entertainer of the Century." 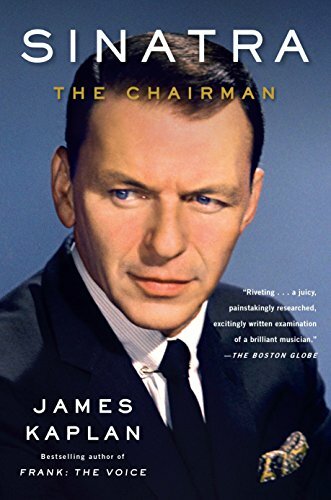 About: Just in time for the Chairman’s centennial, the endlessly absorbing sequel to James Kaplan’s bestselling Frank: The Voice—which completes the definitive biography that Frank Sinatra, justly termed the “Entertainer of the Century,” deserves and requires. About: One of the Best Books of the Year The Washington Post • Los Angeles Times • Milwaukee Journal SentinelThe story of Frank Sinatra’s second act, Sinatra finds the Chairman on top of the world, riding high after an Oscar victory—and firmly reestablished as the top recording artist of his day. With Jane Yolen | from Ace Books (May 1, 1986); titled "Merlin's Booke"